Browse our selection of low density, high density, and biohazard bags. Low density trash bags are ideal for kitchen trash, outdoor trash cans, or trash that includes sharp, jagged or irregular shaped items. They are thick and flexible making them highly resistant to puncturing and tearing. High density trash bags are thinner and therefore not as puncture resistant. They can carry heavy loads that are not rough-edged such as textiles or paper products. They are the best choice for office and restroom waste. High density bags are generally less expensive than low density bags because they use less plastic. Healthcare and laboratory facilities produce medical and or biohazardous waste daily. This waste cannot be disposed of with your normal garbage due to many factors. One of the more common reasons is to ensure regulation compliance. 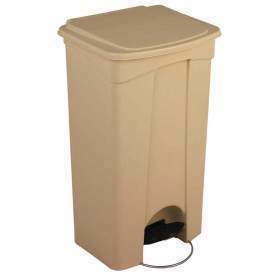 Med-Vet International also carries a variety of trash cans for different needs. You can buy recycling, small, large, step on, and even fire resistance cans today!